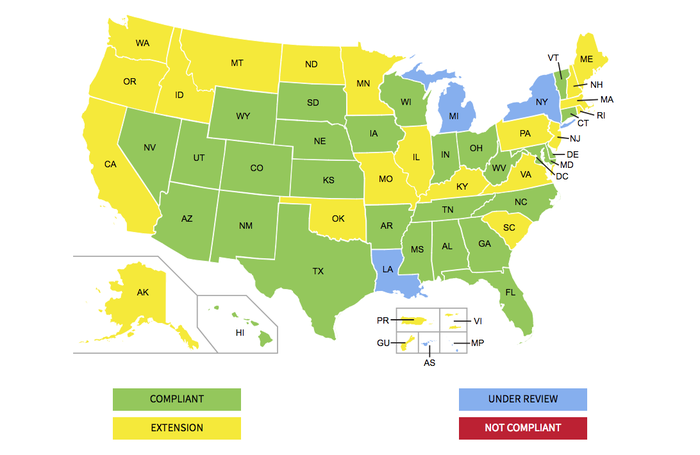 As of today, the spokesperson told us, the states under review—Louisiana, Michigan, and New York—won’t be able to use their licenses after January 22, 2018, although the DHS, which manages the TSA, may grant extensions before then. American Samoa and the Northern Mariana Islands are also still under review. Starting October 1, 2020, every domestic air traveler will require a Real ID-compliant license, or another acceptable form of identification, for domestic air travel.